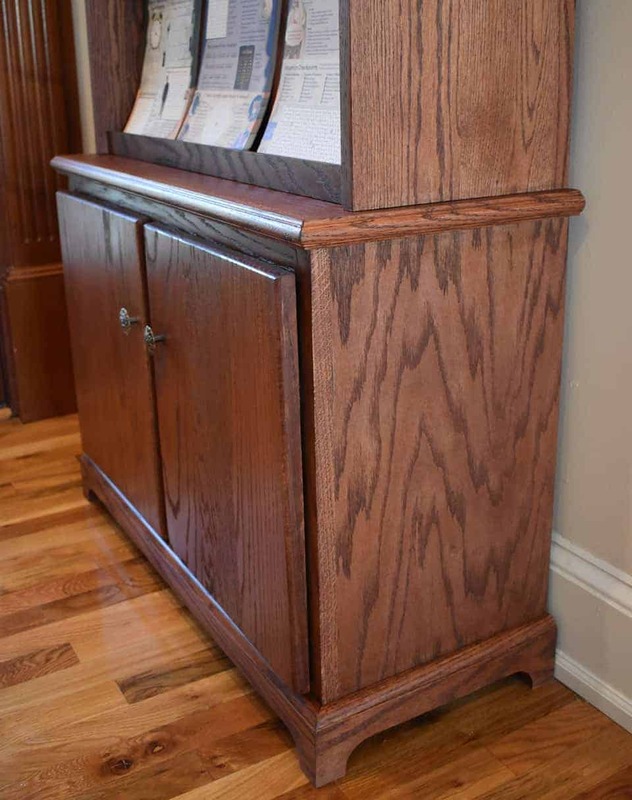 Beautiful, solid oak kiosk holds resources to educate and inspire parishioners of all ages. 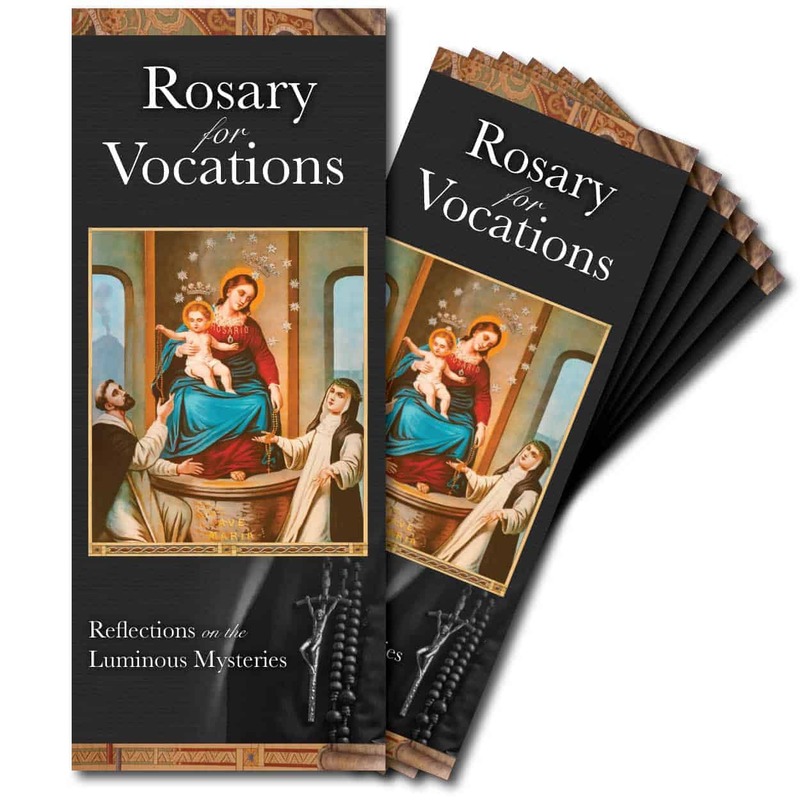 Includes items on discerning a vocation, praying for vocations, fostering vocations in the family, and much more. 23 different resources, 950 pieces. Choose options and purchase online, or for help, call 877-585-1551. 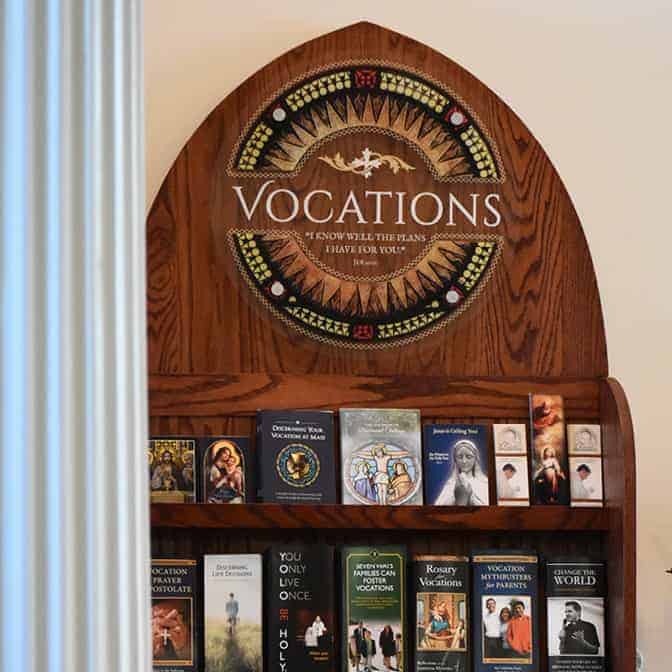 Why a Vocation Station in your parish? 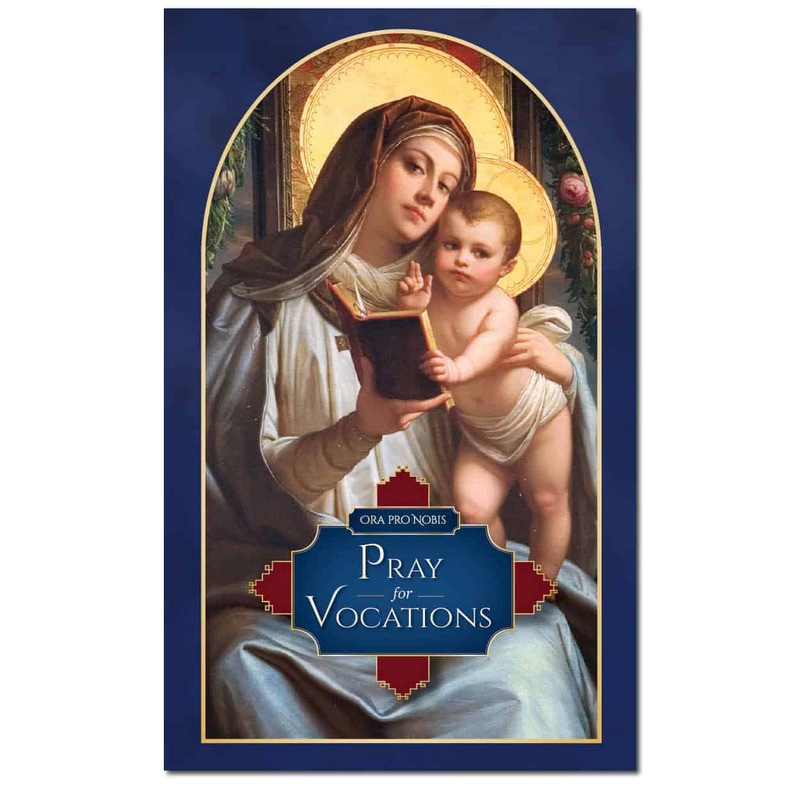 Resources for everyone: kids, teens, young adults, parents, and all Catholics who wish to promote and pray for vocations. 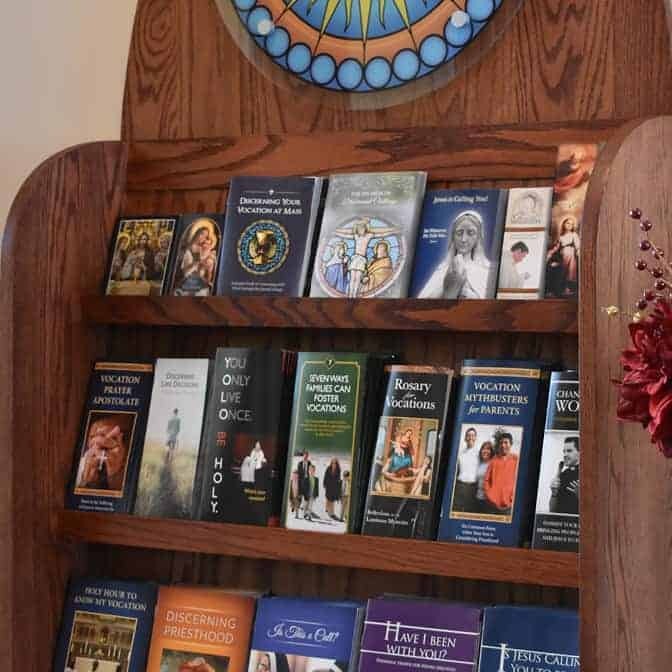 23 different brochures, booklets, and prayer cards. 950 pieces total. 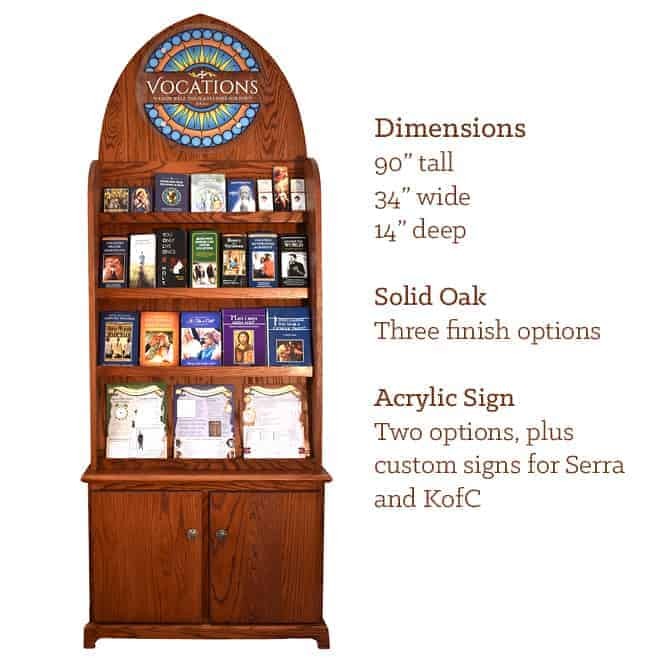 Comes pre-stocked with our best materials, but you can also customize contents if desired. 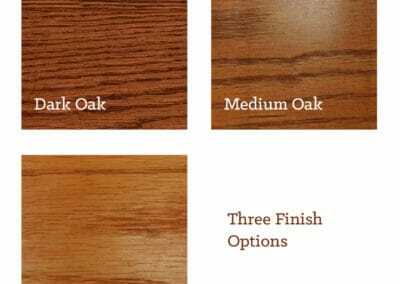 Solid oak construction will last for decades. Flat shipping for only $195 to the contiguous 48 United States; call for shipping elsewhere. 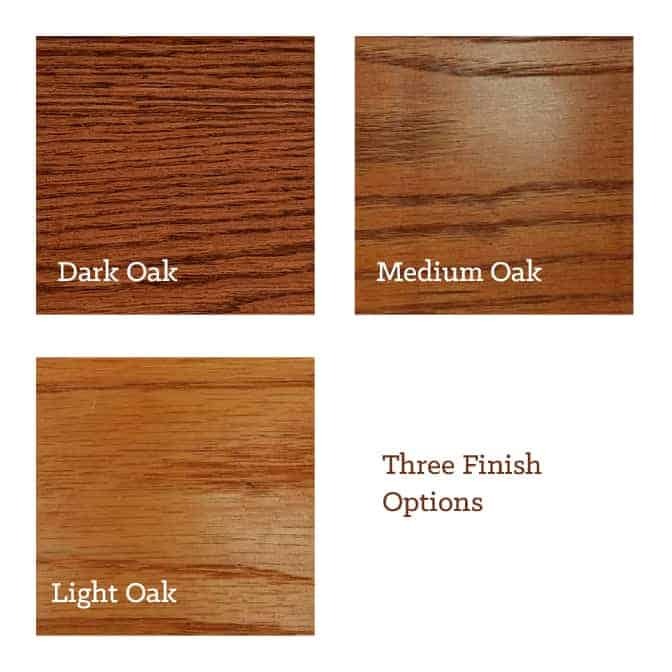 Three finishes: dark oak, medium oak, and natural oak. 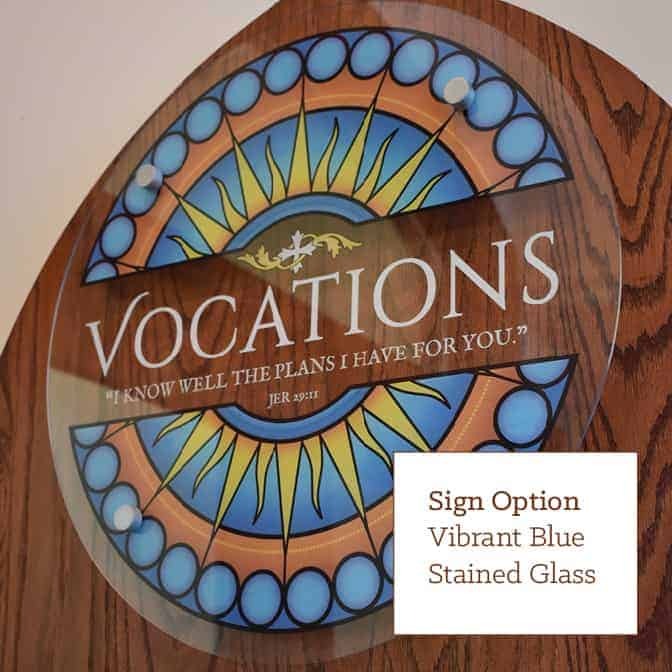 Two styles of sign: Vibrant Blue Stained Glass or Traditional Warm Stained Glass. 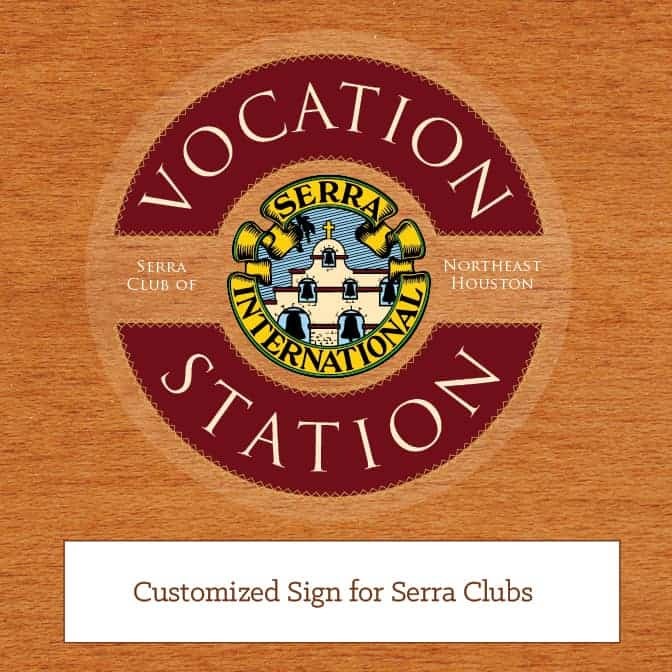 Customized signage for Serra Clubs and KofC Councils (add $60). 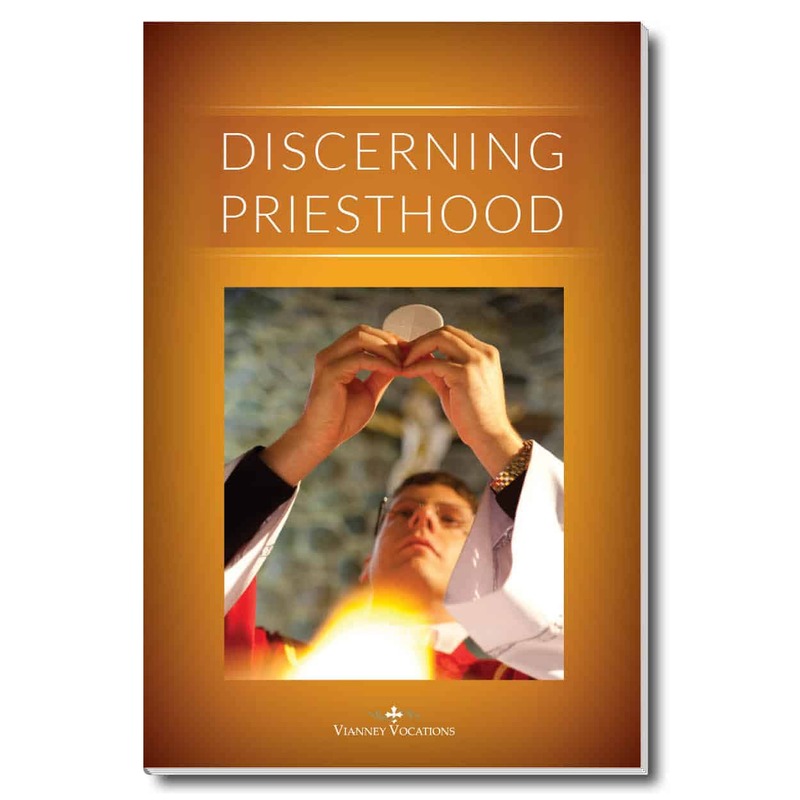 Discernment Books option (add $270). 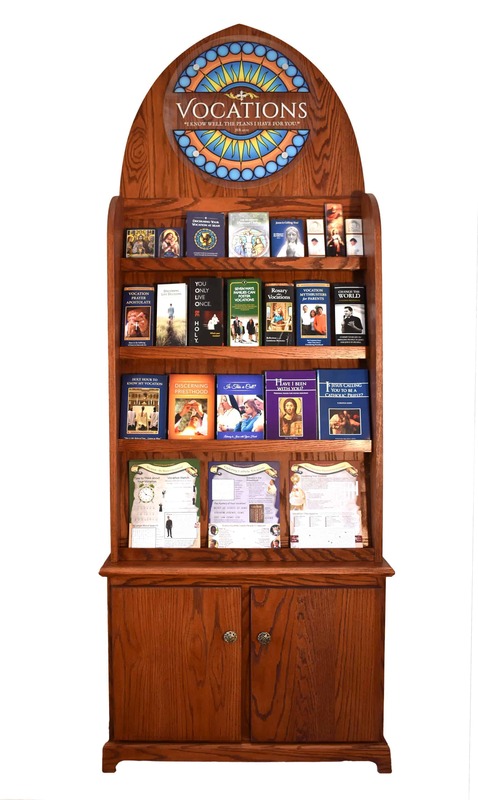 Convert the bottom storage cabinet to bookshelves stocked with 6 copies each of the best books on vocation discernment: To Save a Thousand Souls (on priesthood), Discerning Religious Life (for women), and A Living Sacrifice (men's religious life). 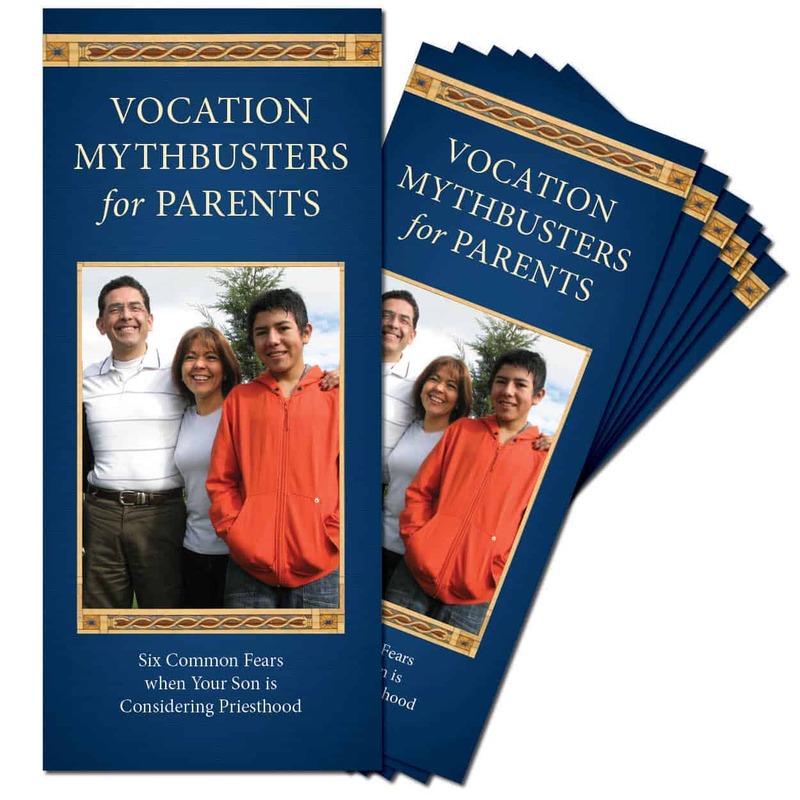 Plus a great book for parents, A Priest in the Family. 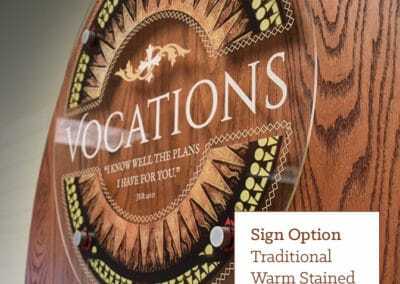 With this option, the parish automatically receives a 25% discount on all future orders. 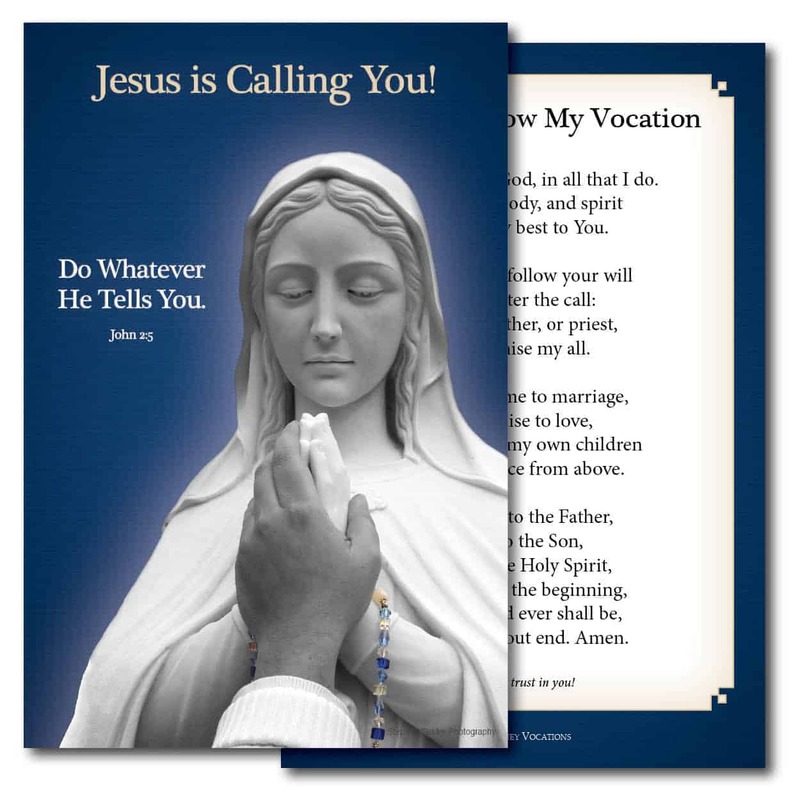 3”x5” card has a striking image of Mary and baby Jesus, with a new prayer for vocations on the back. 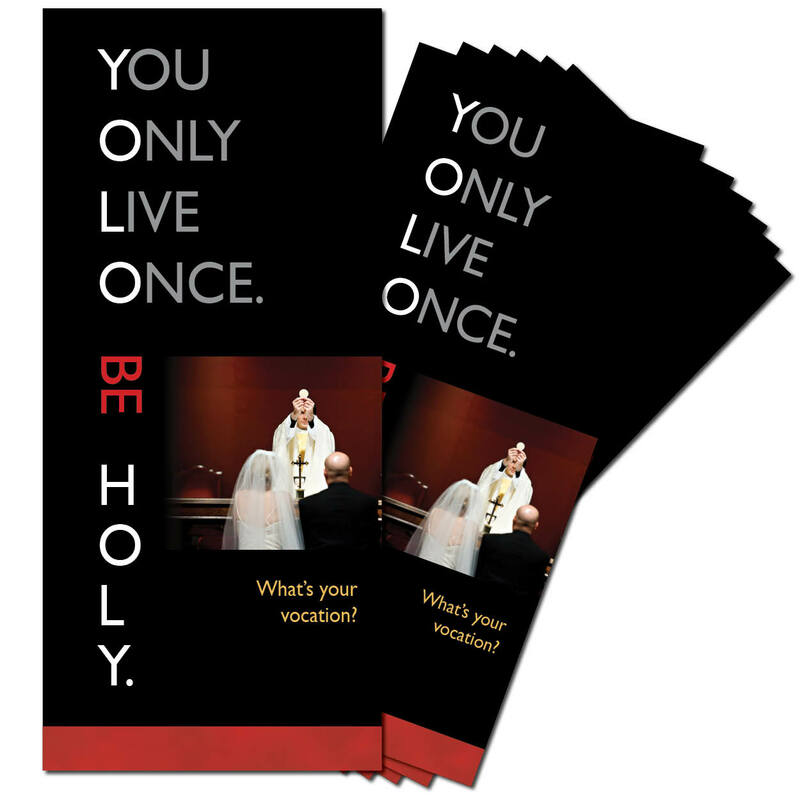 Pocket-sized, 12-page pamphlet helps young people discern their vocations during each part of the liturgy, culminating in Holy Communion. 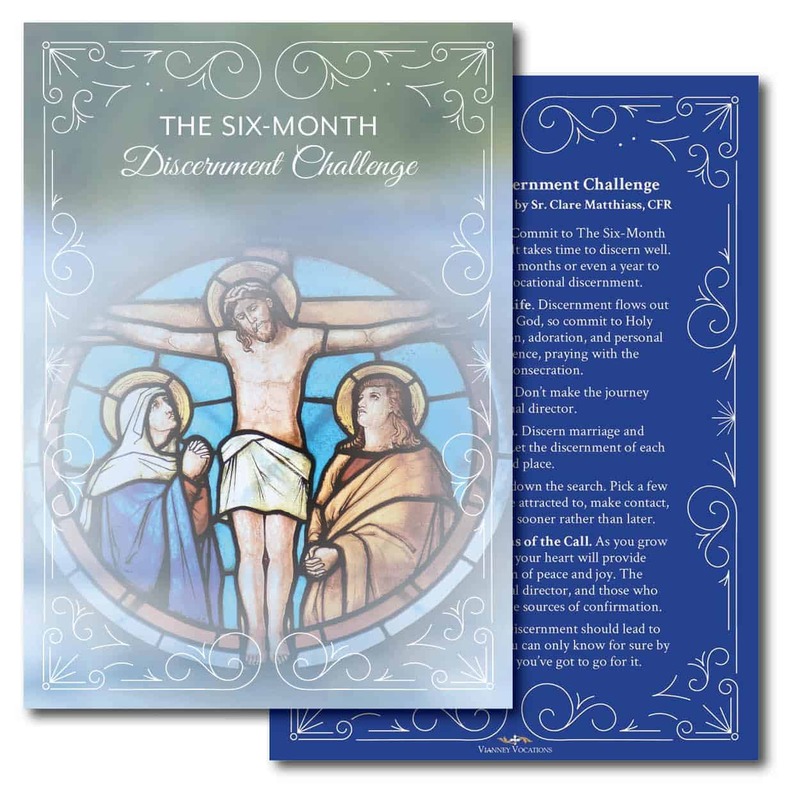 5×7 card with a guide to help guide women who are discerning religious life. A simple rhyming prayer to know my vocation. 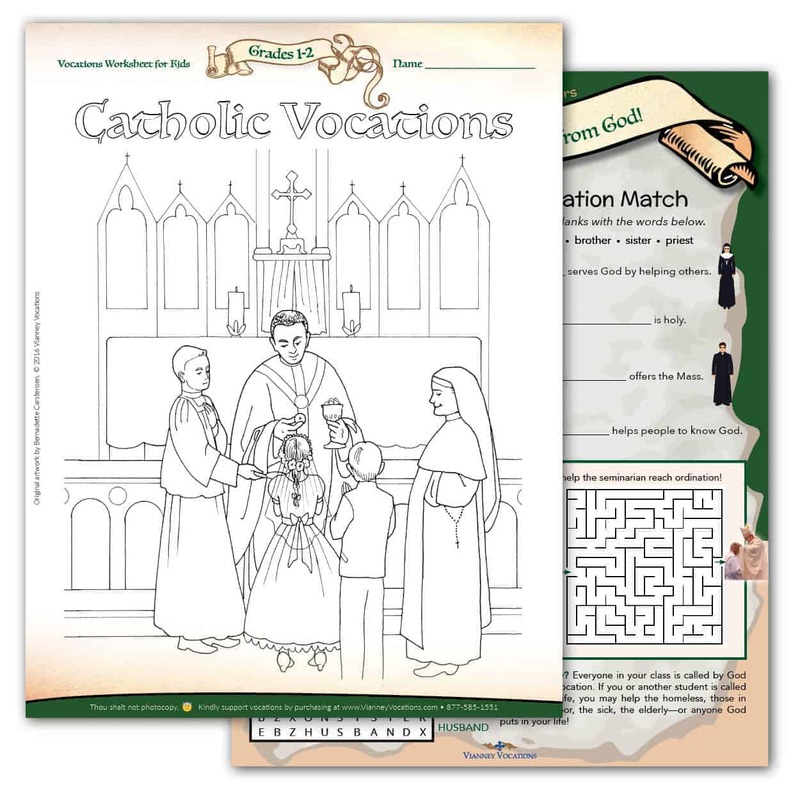 Perfect for Catholic schools or religious education classes. 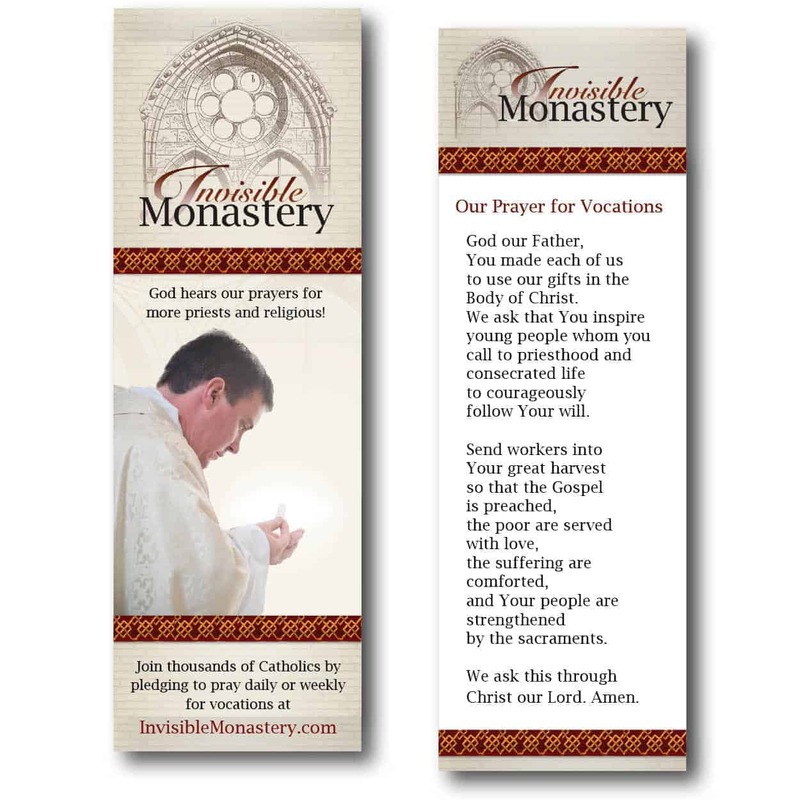 Beautiful bookmark with the Invisible Monastery prayer for vocations on the back. 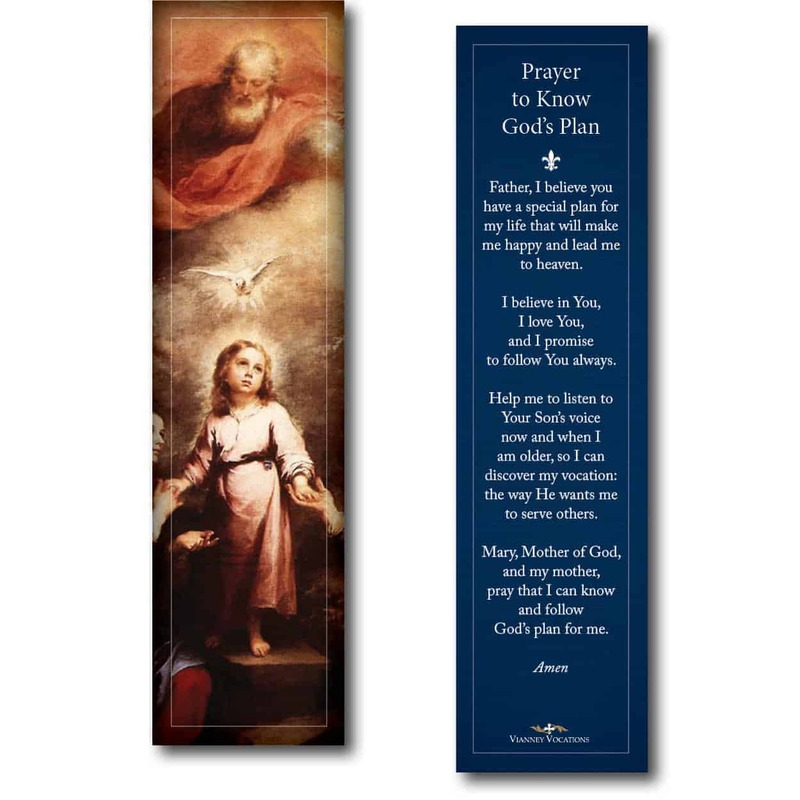 Striking bookmark for children has an image of the Trinity on the front and a simple vocation prayer on reverse. 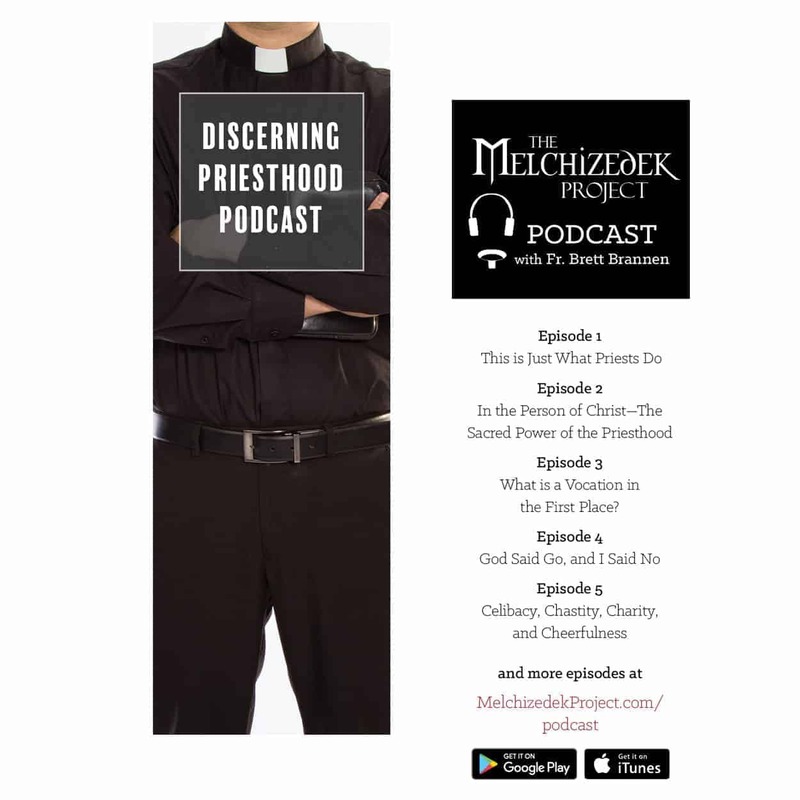 Reminder for young men to donwnload and listen to The Melchizedek Podcast with Fr. Brett Brannen. 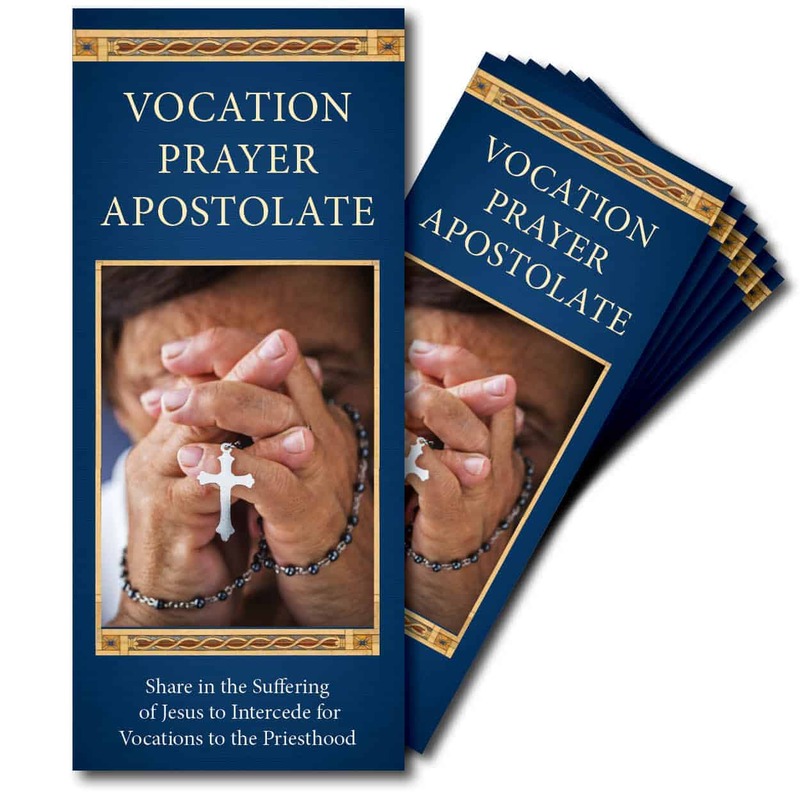 Brochure inviting the sick and homebound to pray for priestly vocations. 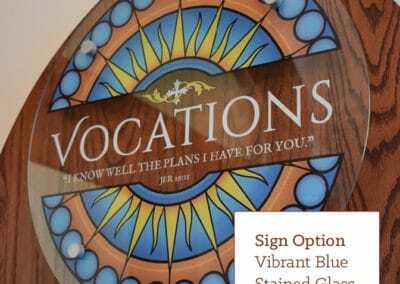 Four-fold brochure concisely explains toany Christian facing life choices how to approach big decisions using the three modes of discernment proposed by St. Ignatius. 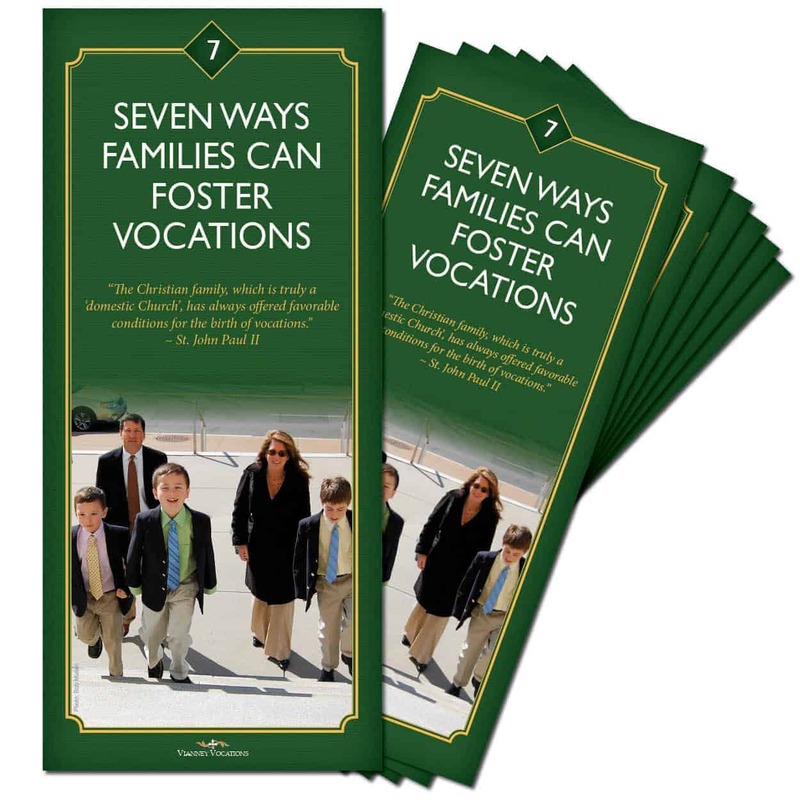 Brochure has great ideas to help Catholic families nurture vocations at home. 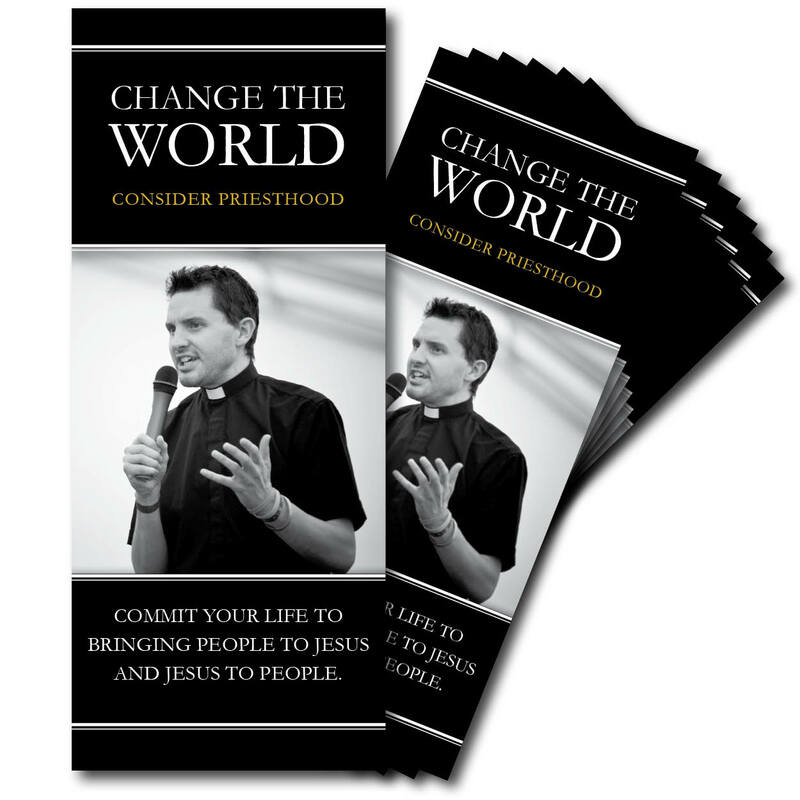 Explains the dignity and power of the priesthood; walks a man through discernment, the application, and seminary life. 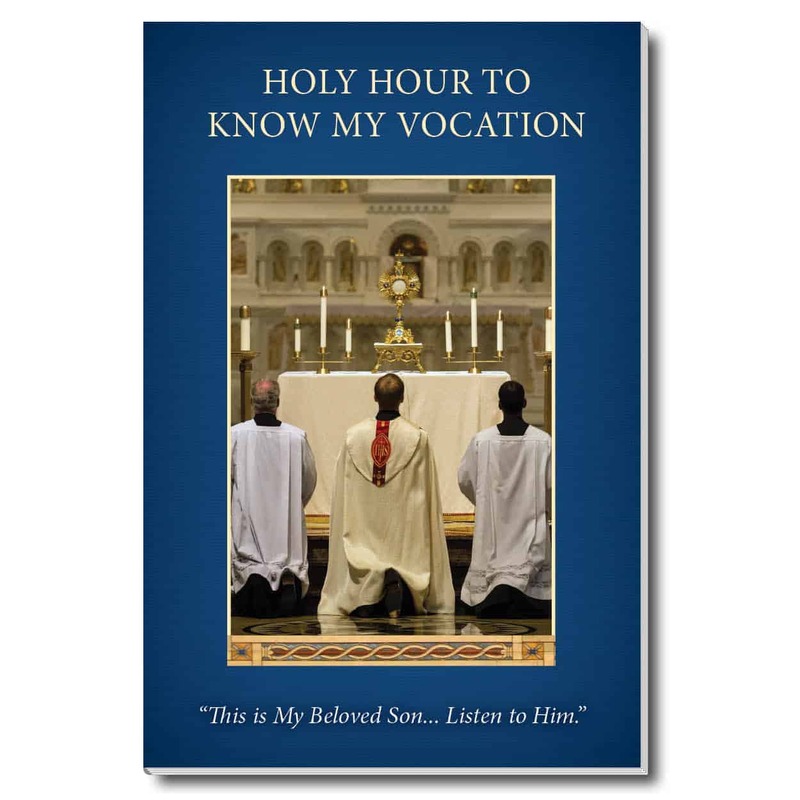 Holy Hour to help young people discern their vocations, with powerful meditations in the tradition of Ignatian spirituality. Used by hundreds of youth groups and campus ministries. 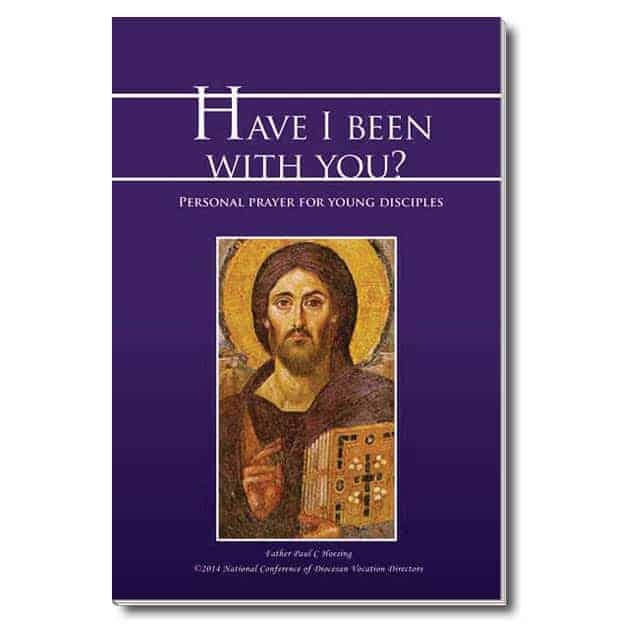 16-page booklet helps young women to discern religious life. High-quality original artwork and creative activities for children in Grades 1-2. High-quality original artwork and creative activities for children in Grades 3-4. High-quality original artwork and creative activities for children in Grades 5-6. 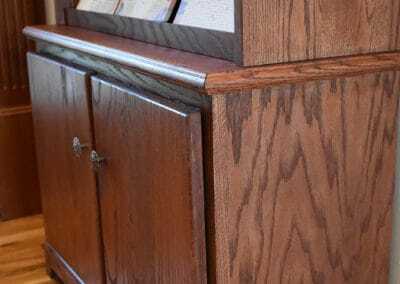 Why such a high-quality piece of church furniture? People pay attention to quality. 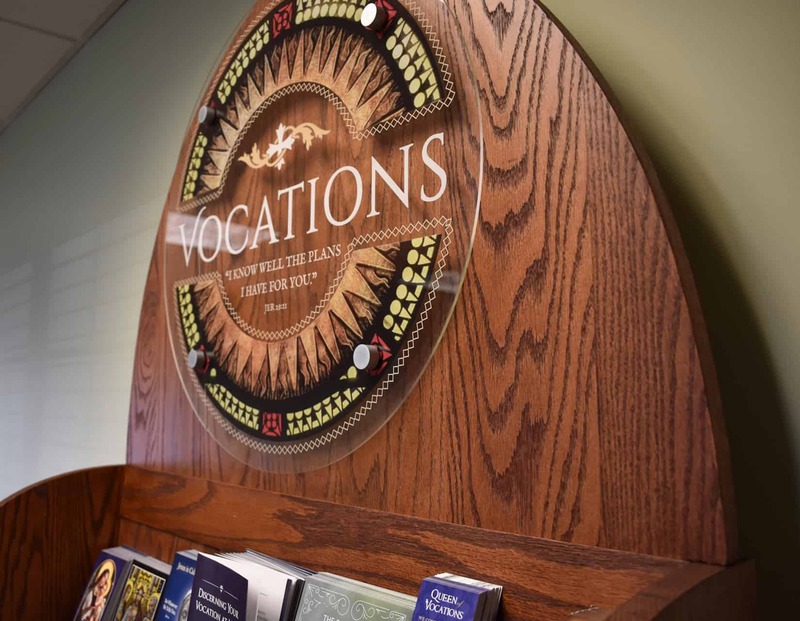 And because of the importance of vocations—especially when the number of priests, religious and even marriages continue to fall—we need to address the topic with the degree of excellence it deserves. 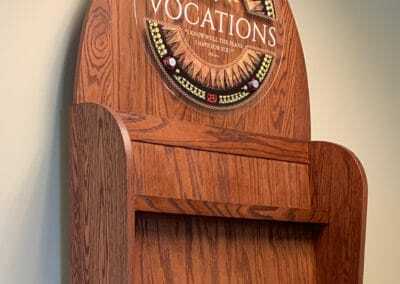 We as a Church need to do a much better job presenting the vocation options for faithful Catholic men and women. Do vocations warrant this much emphasis? 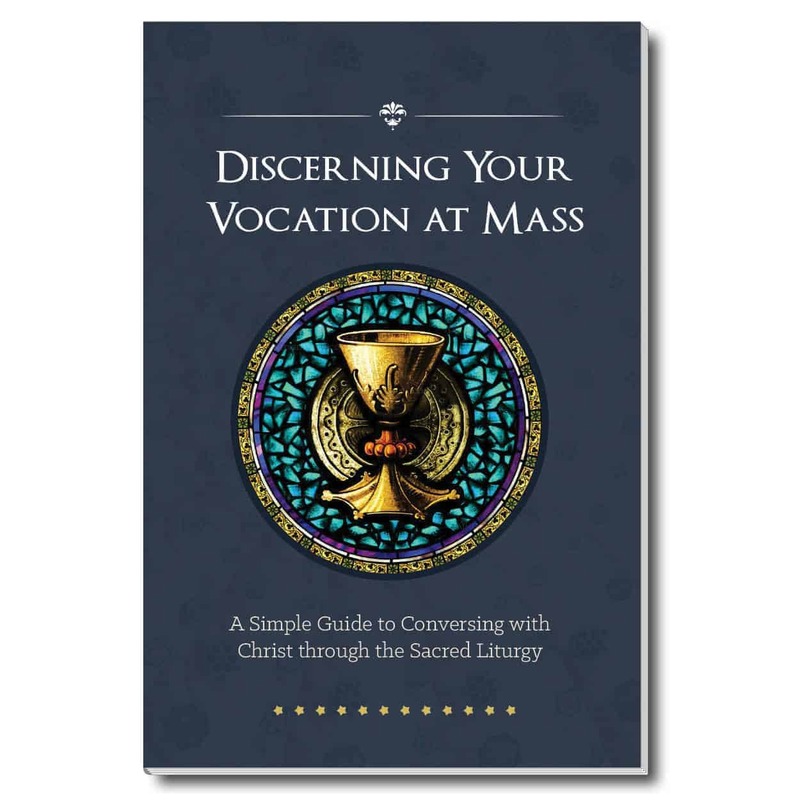 Here’s the way we look at it: aside from the decision to follow Jesus, your vocation is the most important decision you will ever make. 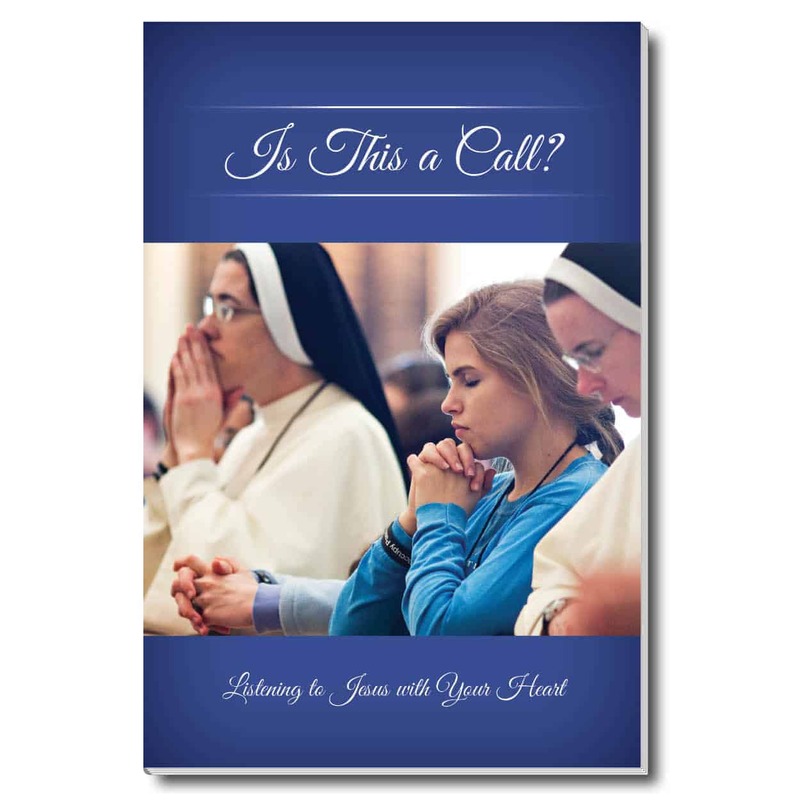 Every parish in America should be helping its members, especially young people, to listen to God’s call. And more than that, we should be equipping older adults already in their vocations to encourage the next generation. 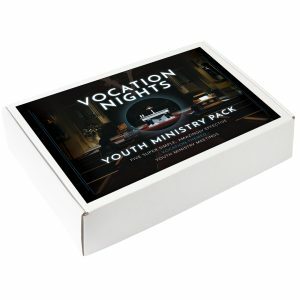 Is this a niche product for youth? 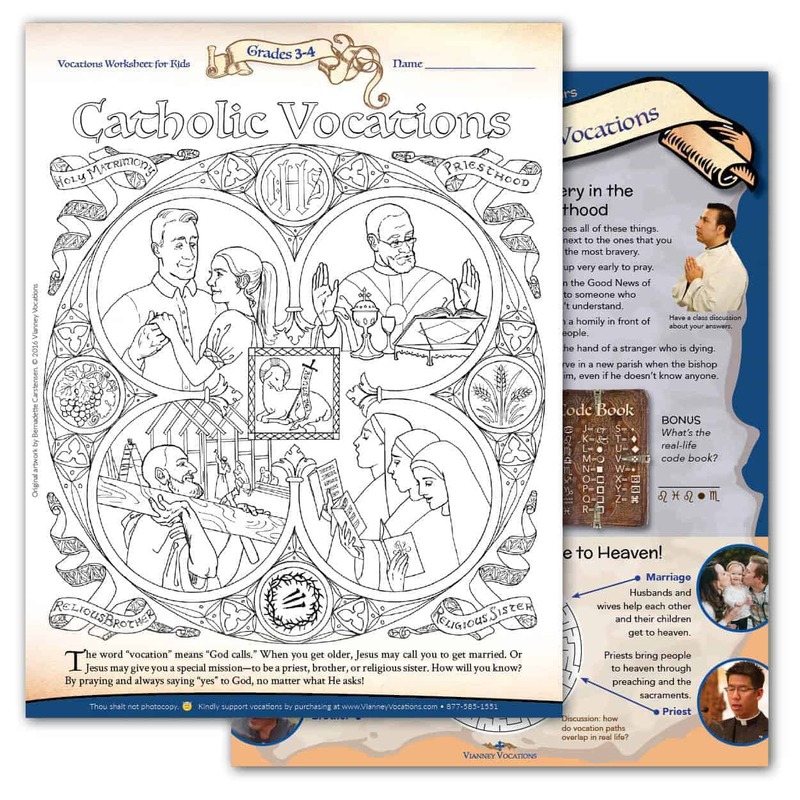 What are the quantities of each resource in the Vocation Station? 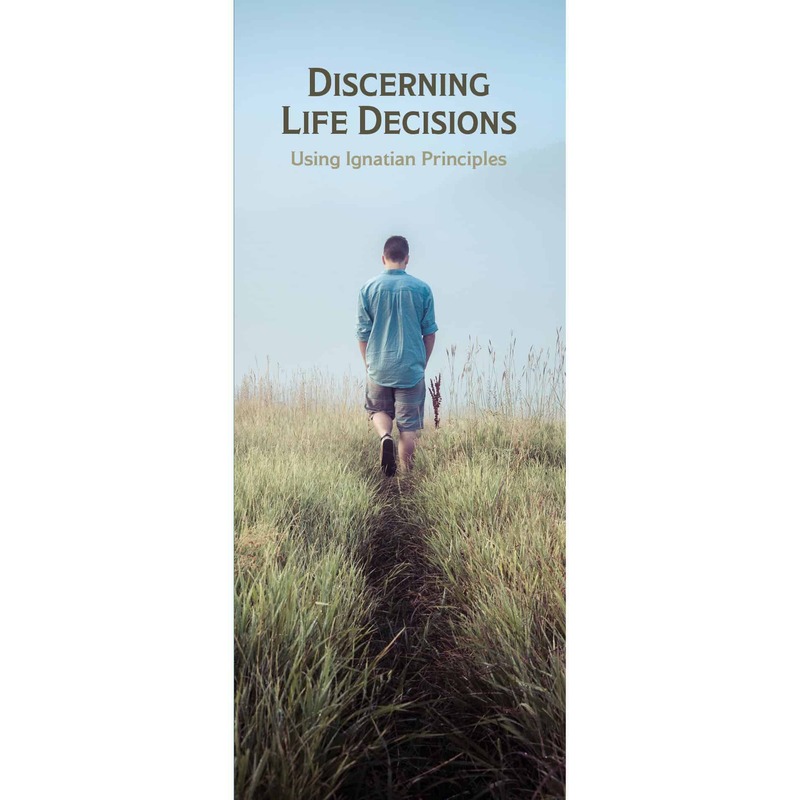 What is the Discernment Books option? 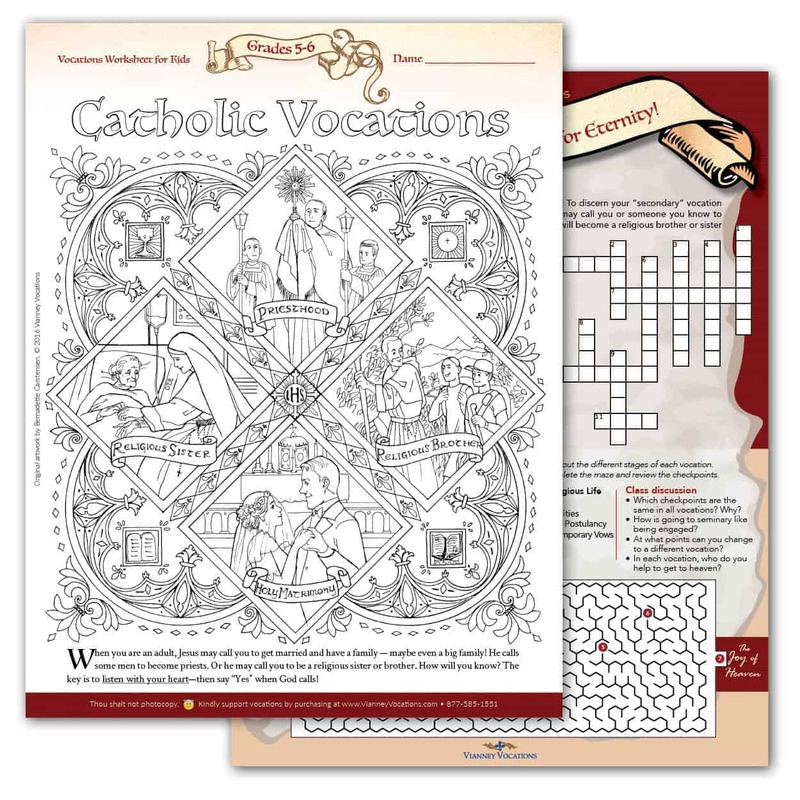 The Vocation Station comes standard with smaller pieces like cards, pamphlets, and short booklets. 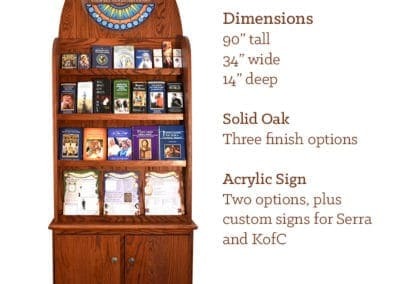 However, the "Discernment Books" option adds full-length books for serious discerners (and their parents). 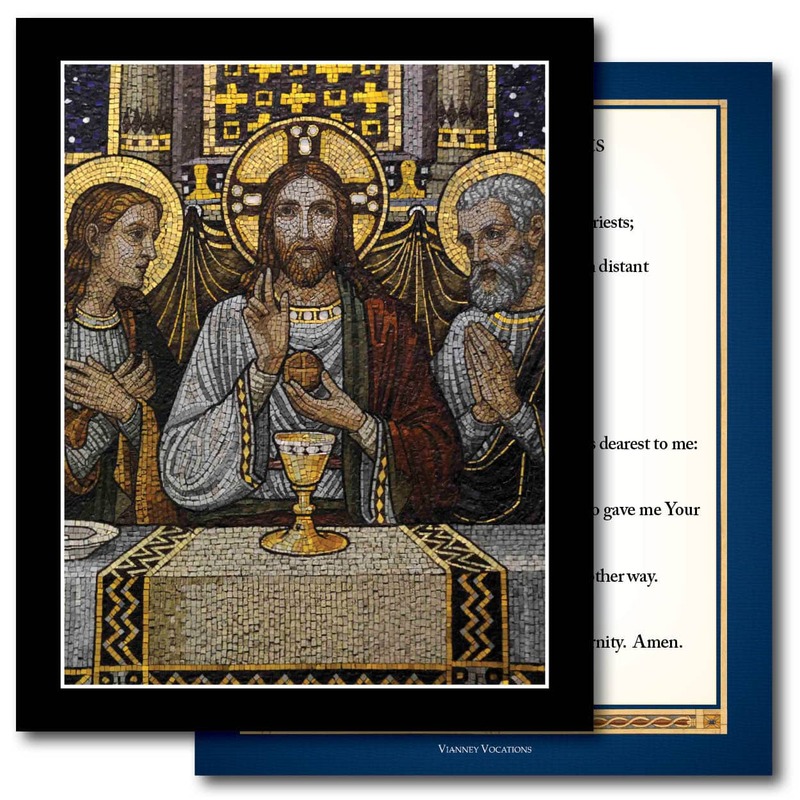 Your initial order will come with six copies of each of To Save a Thousand Souls, A Living Sacrifice, Discerning Religious Life, and A Priest in the Family—a $462 value for only $270. Plus you automatically receive a 25% discount on all future orders of these titles. 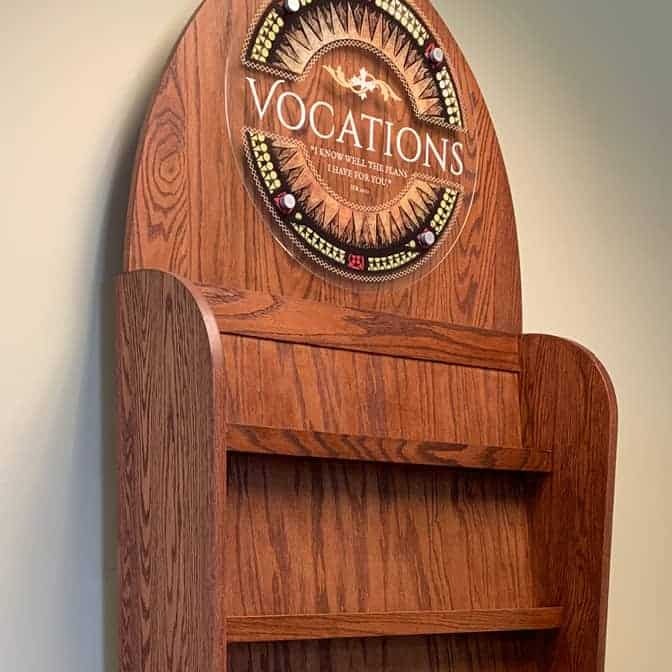 With the Discernment Books option, your vocation station’s base will have bookshelves instead of doors. What good will books and brochures do, anyway? The solution to the vocation crisis is discipleship—offering Jesus our whole hearts and lives, then following where he leads. 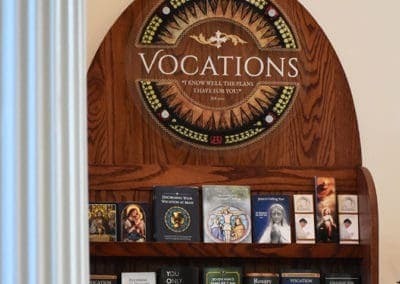 The parishes that produce vocations have faithful families and warm, enthusiastic priests who bring youth to Christ and accompany them as they discern their vocations. One-on-one invitation and mentorship is absolutely essential. 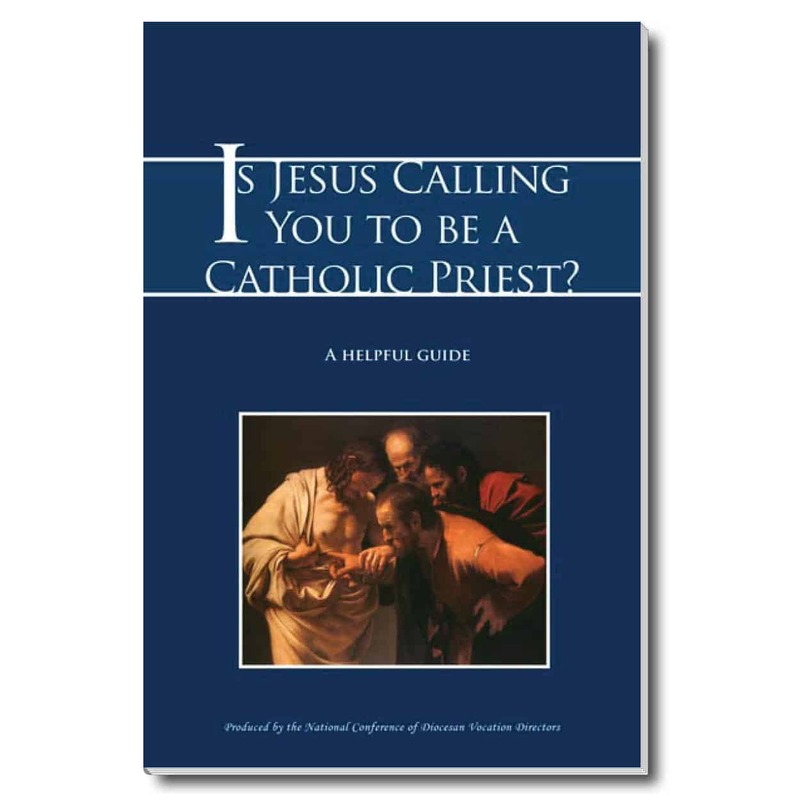 That said, in the typical parish, there is a lot of confusion surrounding the priesthood, religious life, and even marriage. People need good information. If people have bad or incomplete information, they are likely to make bad decisions. 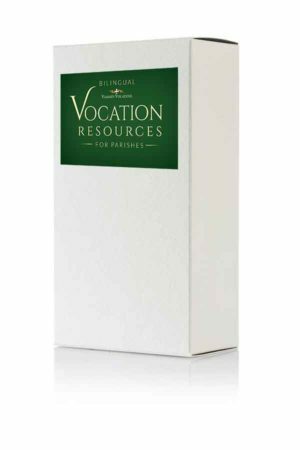 Good booklets and brochures aren’t the complete answer to our vocation crisis—but they sure do help. And the alternative, in many cases, is to offer nothing. Is there a donation box included? No, because we believe it's a normal function of the parish to provide its members with education on all Catholic vocations. However, if funding is a concern, many pastors find that donors are eager to fund the promotion of vocations. When will I receive my Vocation Station? Production time is approximately six weeks. 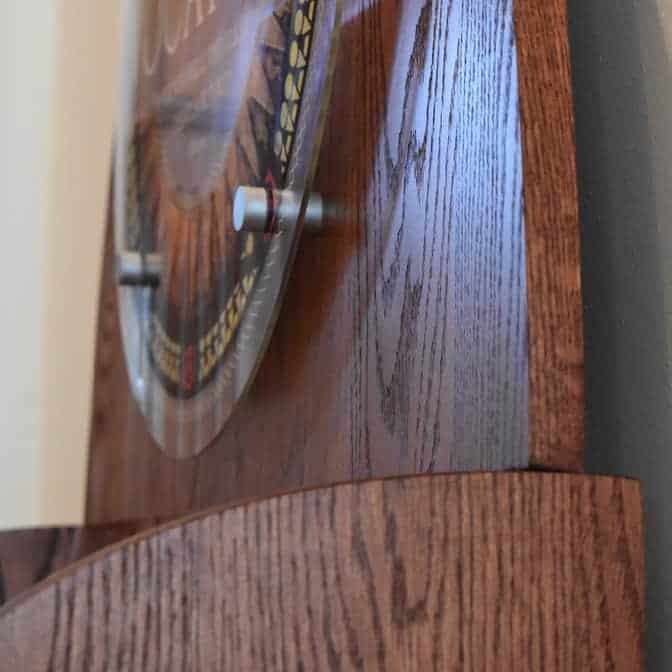 We’ll let you know via email when your display is on its way. 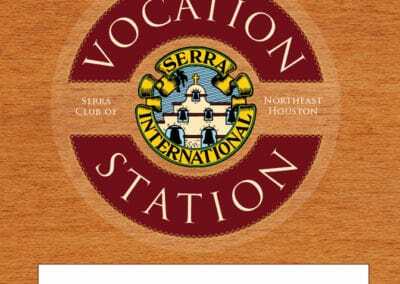 How does the Vocation Station ship? Is it hard to assemble? 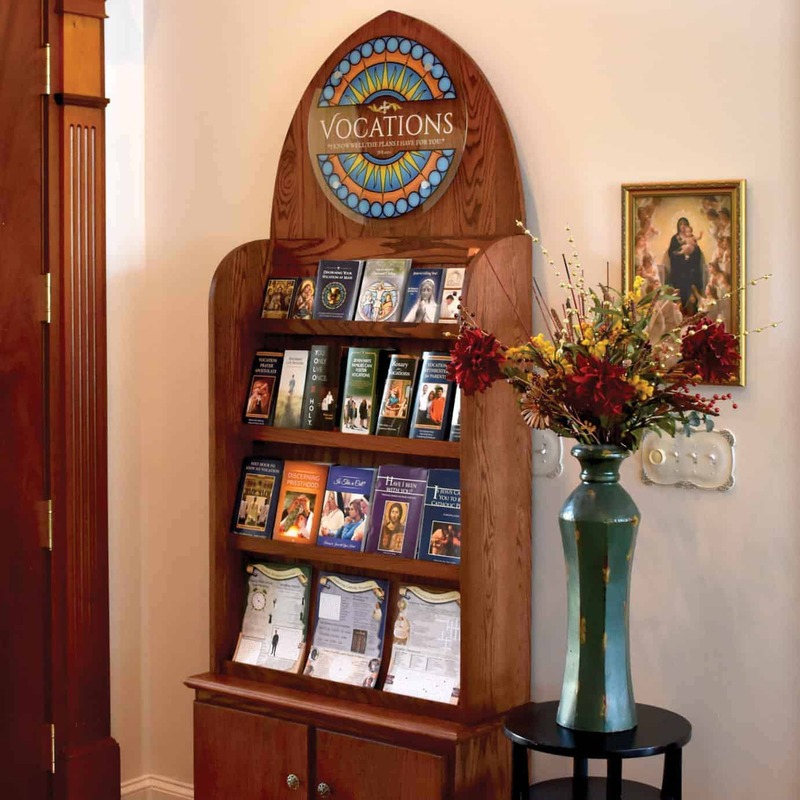 Your Vocation Station will come in three separate boxes weighing approximately 65lbs, 55lbs, and 30lbs. Assembly is easy. 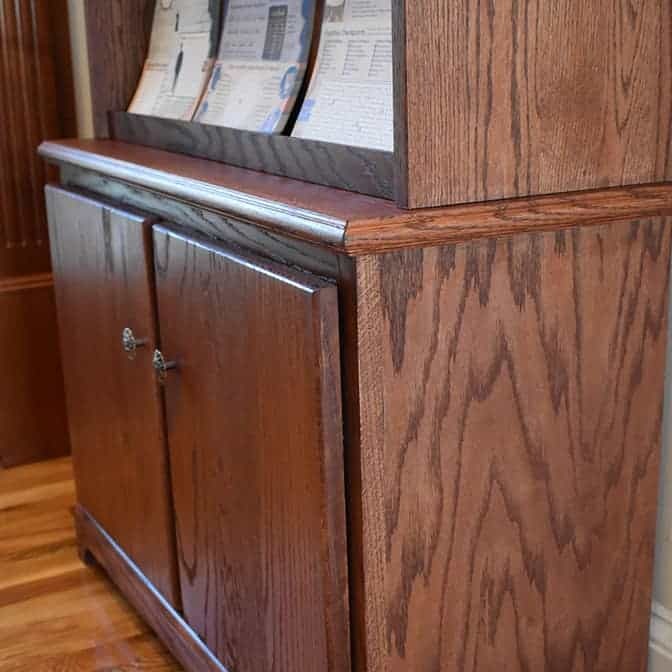 The shelving unit sits on the base and is held by four screws. 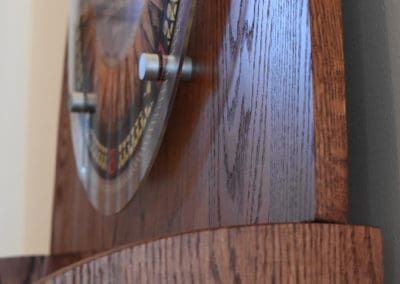 The arched top slides into place and is held by five screws. 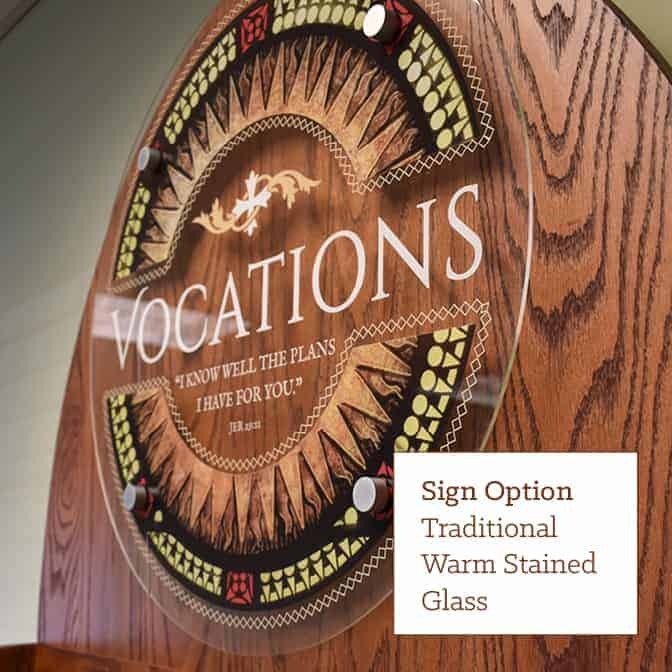 The acrylic sign is installed using high-quality aluminum hardware with pre-drilled holes.